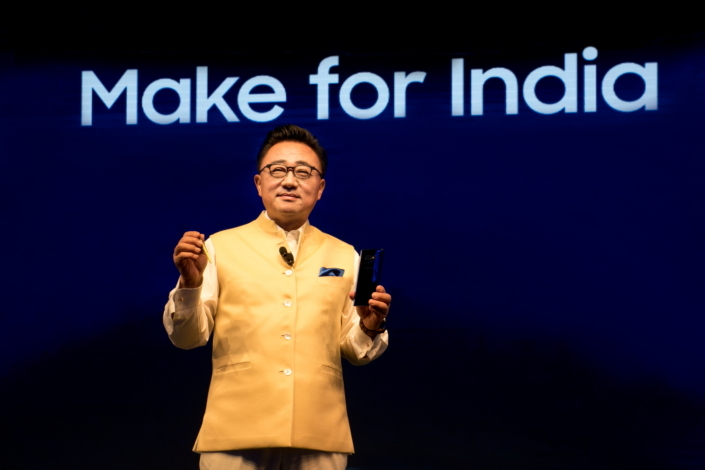 On August 22, Samsung Electronics hosted a launch event for the Galaxy Note9 in Gurgaon, New Delhi, India. 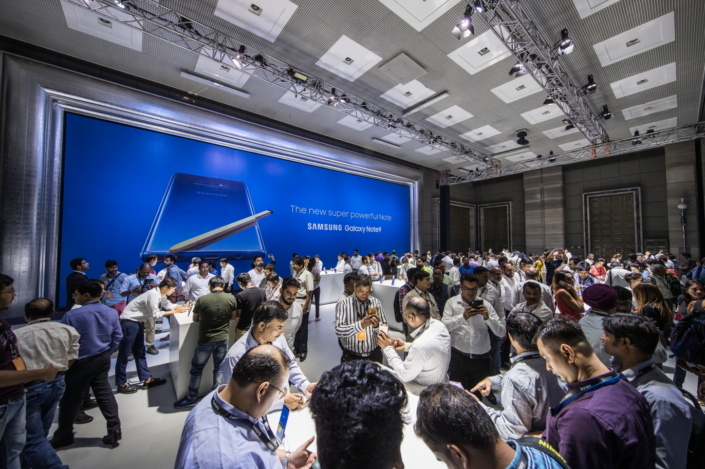 Highlighting Samsung’s entrance into the Indian premium market, around 800 participants including local partners, media and Indian Galaxy fans joined the event. 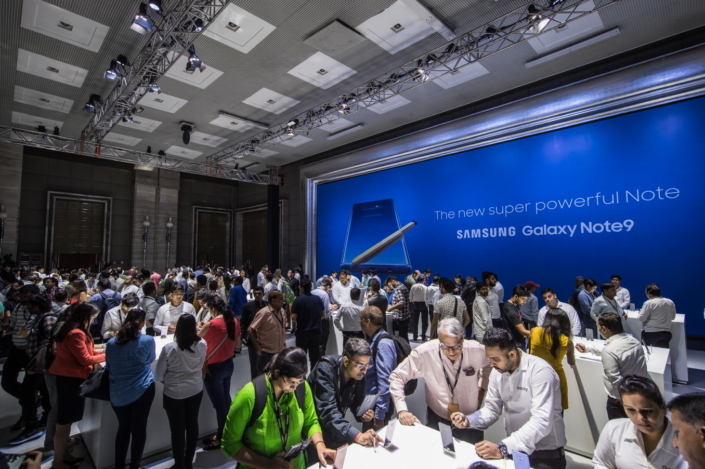 At the launch event, distinguished users of the Samsung Members app – where Samsung users share tips and receive access to special rewards, exclusive events, such as Unpacked itself, and discounts – were invited as special guests. Some of the most active users were named ‘ambassadors’ and received the Galaxy Note9 as a recognition of their brand loyalty. 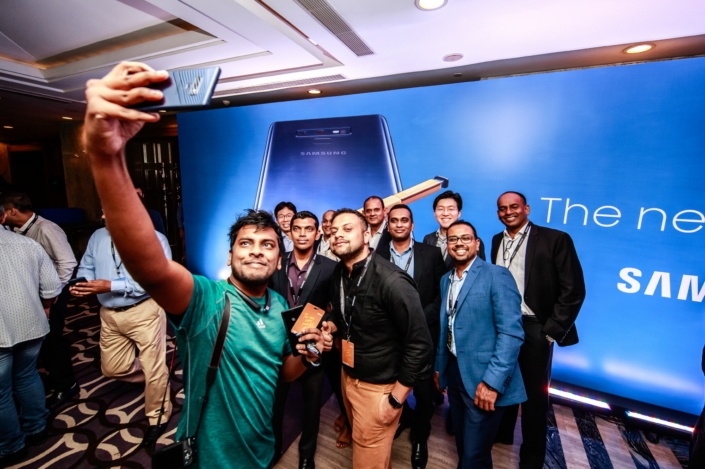 Other participants also received presents, as well as their pre-ordered phones, and everyone was able to get a hands-on experience of the Galaxy Note9. The Galaxy Note9 will officially launch on August 24 in three different color options: Ocean Blue, Midnight Black, and Metallic Copper. The smartphone also implements the S Pen and 128GB·512GB built-in memory. In order to provide products and services that are specialized for India, Samsung Electronics operates five R&D centers, one design center and two production sites in the country, along with a sales-focused corporate body. In July, the size of the Noida production site was increased to a total of 250,000 square meters, to expand smartphone production up to 120 million devices annually through the end of 2020. The expansion is in response to rapidly growing demand in the Indian smartphone market and an increase in Indian exports. In addition, Samsung Electronics continues to develop various functions and services reflecting the needs of Indian consumers. The ‘Chat on Video’ service enables users to chat with others through a translucent chat window while watching YouTube videos. ‘Samsung Mall’ will help search for a product that you are looking when you take a picture of a similar product, and ‘S-Bike Mode’ manages calls for you while you are riding your bike so you are not disturbed. Samsung and India’s constructive cooperation has proven fruitful since the company first entered the market in 1995. The launch of Galaxy Note9 will be another momentum to drive continued co-growth for the two partners.